The railroad town of Aiken Station near the Savannah River began as a stop along the Charleston to Hamburg line of the South Carolina Canal and Railroad. When Charles Warren Davis established the Warren Company and Cotton Mill there in 1897, he called the surrounding village Warrenville. The Graniteville Manufacturing Company absorbed the Warren Company in 1918, expanding the population through job growth. As a result, the Warrenville Elementary School was built in 1925 for the purpose of educating the children of mill workers (mill seen below). The school expanded after World War II and continued operating until 1992 when it was consolidated in the Aiken Consolidated School District. (A new school operating under the same name now exists within the Consolidated School District.) 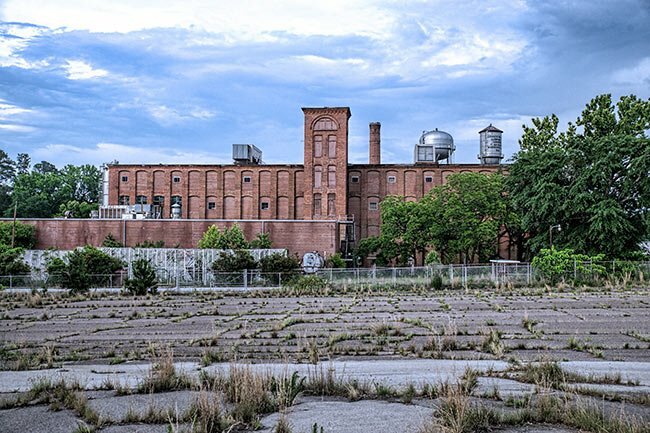 Avondale Mills bought the Graniteville Company a few years later in 1996. In 2001 the vacant building became Village Senior Apartments. Warrenville Elementary School, originally known as Warrenville Graded School, is an excellent example of the Classical Revival style of school architecture that flourished as a direct result of expanded state support for education in the first quarter of the 20th century. It also represents a key component of the paternalistic social and economic system that characterized textile mill villages in piedmont South Carolina from 1900-1945. From its construction in 1925, Warrenville school was in continuous use until 1992 as an educational institution for mill village children. 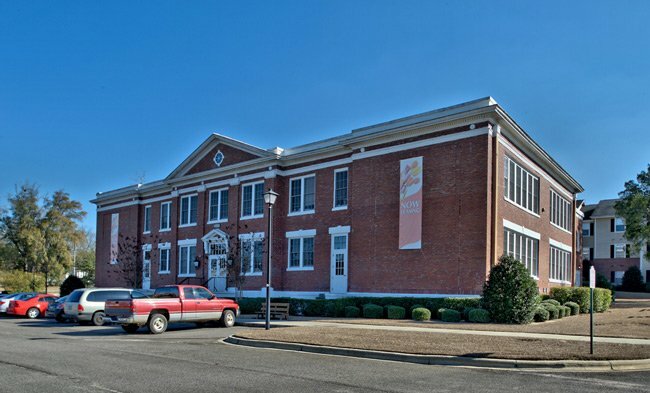 The school is a large, rectangular, two-story brick building located at the west end of the Warrenville mill village. In 1954, two one-story wings were added to the rear (south) and west sides of the building, creating its present C-shaped plan. The school’s original brick and stone façade features baroque massing and is encircled by a full entablature and projecting cornice with a parapet above the roofline. The main façade is defined by slightly projecting central and end pavilions. The entablature here contains a frieze of four stone rondelles under a pediment featuring a bullseye window with cut keystones. The school is one of seven schools in Aiken County designed by W.W. Simmons & Son, an obscure architecture firm working out of Augusta, Georgia during the 1920s and active until 1951.